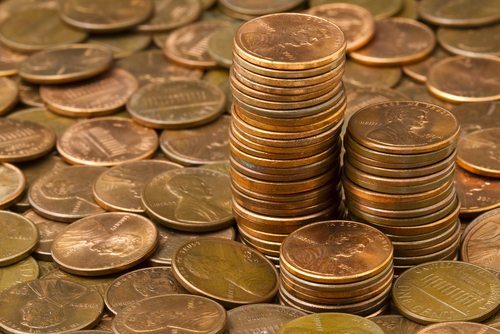 Checkout Charity: How Do the Pennies Add Up? EBay raised more than $54 million by encouraging online sellers to donate a portion of their proceeds to charity. Walmart and Sam’s Club’s six-week Miracle Balloon campaign raised more than $41 million in 2012. Four thousand stores were involved in raising the funds to be donated to a national network of pediatric hospitals. McDonald’s coin collection raised $28 million in 2012. More than 13,000 restaurants participated, raising funds for Ronald McDonald House Charities. While these large campaigns catch our attention, thousands of smaller campaigns are also being organized around the country in businesses large and small. According to the Cause Marketing Forum, over the last 29 years, these sorts of campaigns have raised more than $2.3 billion for charity. Health is the clear winner when it comes to checkout charity, receiving 68 percent of all donations. Children’s health charities received 47 percent of the funds analyzed by the Cause Marketing Forum. Significant donations went to well known organizations, such as St. Jude Children’s Hospital and the Children’s Miracle Network. Twenty-one percent of funds analyzed were donated to other (non-children’s) health-related concerns, such as autism, cystic fibrosis, breast cancer and muscular dystrophy. Such campaigns have grown in recent years and are becoming so routine that many customers are becoming desensitized. In some cases, customers even dread the inevitable question. Nonprofits interested in developing a campaign should do their homework. In our post-Sarbanes-Oxley world, there are numerous legal issues involved with such fundraising efforts. The laws and registration requirements vary from state to state. These seven tips seem simple enough but beware. It can be more complicated than you think. Remember the Pink Bucket campaign launched by the Susan G. Komen for the Cure and Kentucky Fried Chicken? This 2010 campaign raised $2 million in its first week, but garnered much negative attention when activists pointed out that the campaign seemed to send contradictory messages: It’s okay to eat fatty, fried foods as long as you get a breast exam. A seemingly good idea quickly became a public relations nightmare.